DAVID LE/Staff photo. 3/14/15. 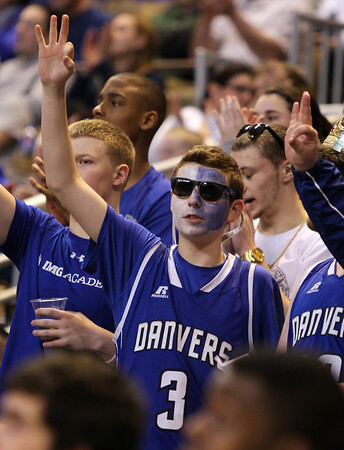 Danvers junior Wes Milbury (3) celebrates a three-pointer by senior guard Vinny Clifford.